Almacenamiento ROM: 500GB. Capacidad RAM: 4GB. Color: Blanco. Tiempo 1 a 2 días laborales. Tiempo 2 a 4 días laborales. Tiempo 5 a 7 días laborales. Idioma Teclado: Sueco. Sistema Operativo (S.O. ): Windows 10. Ofrecemos Consultoría para la adecuación a la LOPD y LSSI/CE. Somos un Centro de Formación homologado por la Consejería de Empleo y Desarrollo Tecnológico de la Junta de Andalucía para impartir cursos de Formación Profesional para el Empleo (FPE) con Certificado de Profesionalidad. EX-DISPLAY LAPTOP MAY SHOW SLIGHT MARKS ON THE CASING COVER. LAPTOP COMES IN REPLACEMENT BOX WITH AC ADAPTER. BOX CONTENTS: LAPTOP , CHARGER. SPECIFICATIONS: Brand name Lenovo Form Factor Convertible Notebook Screen Size 11.6 inches, 1080p Full HD Screen Resolution 1920 x 1080 Processor Brand Intel Core M 5Y10c Processor Count 2 RAM Size 8 GB Computer Memory Type DDR3 SDRAM Hard Drive Size 128 GB Hard Disk Technology SSD Hard Drive Interface Serial ATA-600 Connectivity Type Yes Wireless Type 802.11.ac Number of USB 2.0 Ports 2 Number of USB 3.0 Ports 1 Number of HDMI Ports 1 Optical Drive Type No Operating System Windows 8.1 Battery Type Lithium Polymer (LiPo) Average Battery Life (in hours) 8 hours Weight 1.2 Kg Dimensions 19.7 x 29 x 1.6 cm Item model number 80J80025UK. Lenovo IdeaPad 320-15IAP Laptop. It'll stand up to daily wear and tear with a special protective coating and rubber padding underneath that enhances ventilation and stability on your desktop. Hard Drive 1TB HDD. This item is fully tested & working. Touchscreen display provides an interactive Windows 10 experience. - 2 in 1 design lets you switch between four different ways of working. 11.6" MultiTouch Screen (1366x768). Bluetooth 4.0. USB 2.0 x 2. Lenovo 510-15ISK Cheap White Laptop Windows 10, 6th generation Intel Core i5-6200u processor up to 2.80GHz with Turbo boost, 15.6" HD display, 8 GB RAM, 240GB SSD Hard drive, DVDRW, Bluetooth & WiFi, HDMI & USB 3.0 port, Built in webcam, Battery holds charge. Good condition. Slight chip in one corner (please see in last picture). EX-DISPLAY GRADEA A LAPTOP MAY SHOW SOME SLIGHT SCUFF MARKS. 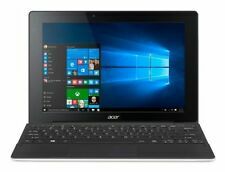 LAPTOP COMES IN REPLACEMENT BOX WITH AC ADAPTER.BOX CONTENTS: LAPTOP, AC ADAPTER.SPECIFICATIONS: Processor - Intel® Core™ i5-8250U Processor- Quad-core- 1.6 GHz / 3.4 GHz- 6 MB cache RAM 8 GB DDR4 Storage 128 GB SSD Operating system Windows 10 Touchscreen No Screen size 14",LCD, 1920 x 1080 Disc drive No Memory card reader 4-in-1 memory card reader Camera 0.3 MP camera Microphone Yes WiFi - Wireless-AC- 1x1 Ethernet No Bluetooth Bluetooth 4.1 USB - USB Type-C x 1- USB 2.0 x 1- USB 3.0 x 1 Video connections HDMI x 1 Audio connections 3.5 mm jack Audio software Harman Dolby Audio Speakers Dual speakers Battery type 2-cell Lithium-polymer Battery life Up to 7 hours Dimensions 19.3 x 327.4 x 236.5 mm (H x W x D) Weight 1.69 kg Colour Snow white. Yoga 3 is an extraordinarily adaptable PC. It features four different ways for you to do what you want: Laptop, Stand, Tent, or Tablet. The secret: Yoga 3’s unique design and touchscreen display allow the screen to flip around 360 degrees. NVIDIA® GeForce® 940MX 2GB DDR3. Fast Core i7 processor to help you get work done faster 8GB RAM. Lenovo 510 Laptop. If you'd like for us to include an EU plug converter, just leave a note at the checkout. AMD A10 9600P. 256 GB SSD. Windows 10. Original box. 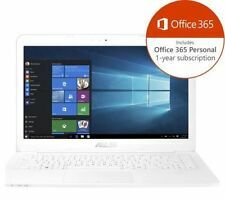 Lenovo IdeaPad 320 - 14" Windows 10 Laptop AMD A6-9220, 8GB RAM, 1TB HDD - White. Excellent used condition... Comes with genuine charger only. EX-DISPLAY GRADE A LAPTOP MAY SHOW SLIGHT SCUFF MARKS FRONT AND BACK. LAPTOP COMES IN ORDINARY BOX WITH AC ADAPTER. BOX CONTENTS: LAPTOP, AC ADAPTER. 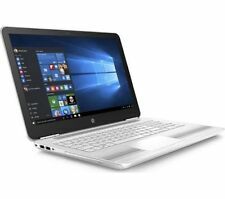 SPECIFICATION: Type: Laptop Processor: Intel® Core™ i3-7100U Processor/ Dual-core/ 2.4 GHz/ 3 MB cache RAM: 4 GB DDR4 (2133 MHz) (8 GB maximum installable RAM) Storage: 128 GB SSD Operating system: Windows 10 Touchscreen: No Screen size: 14" Screen type: LCD Resolution: 1366 x 769 Screen features: Anti-glare coating Wireless: Wireless-AC/ 1x1 Ethernet: No Bluetooth: Bluetooth 4.1 USB: USB Type-C x 1/ USB 3.0 x 1/ USB 2.0 x 1 Video interface: HDMI x 1 Audio interface: 3. Lenovo IdeaPad 500S 13,3"Ultrabook con i7 CPU. SSD-Festplattenkapazität 240GB. DISCO DURO: 240 GB SSD. Produktlinie IdeaPad. Arbeitsspeicher 8GB. RAM: 8 GB DDR3L. Lenovo portátil. Festplattentyp SSD (Solid State Drive). SSD-Festplattenkapazität 240GB. Arbeitsspeicher 6GB. Lenovo Z51-70 15.6 "portátil con i3 CPU y Radeon gráficos.". DISCO DURO: 240 GB SSD. Ofrecen aquí en usa notebook Lenovo! Festplattentyp SSD (Solid State Drive). Lenovo ideapad Z580 in pearlescent white in excellent all fully working condition. HDD 128 GB SSD. Disco de estado sólido SSD. Lapworks - Lenovo notebooks y accesorios. El verdadero especialista en Lenovo portátiles ThinkPad -De vuelta-funciona. Tamaño de la pantalla 14.0 ' HD 1366 x 768 ". Lenovo Yoga 700 14 Inch Touchscreen Convertible Laptop Core i7 256GB SSD 948850. Almost brand new you can say. I only used it for 1 day and since then never been opened. I bought it in 2017 from pc world and it was under warranty for a year then I cancelled the warranty. Definitely a strong buy recommend. Windows 10. Dispatched with eBay delivery – Shutl 1 day. 14" (1366x768). Up to 12 hours. 14": 19.3 mm thick. 14" : 1.7 kg. No scratches, No dead pixels. Fully working. BIOS Checked. Tests and Condition. 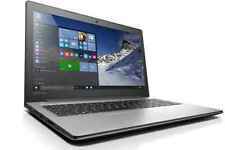 Lenovo IdeaPad 320 15.6" Best Laptop Deal Intel Dual Core, 4GB, 1TB HDD, Win 10. Work between multiple windows easily to accomplish what you need to do. Storage: 1 TB HDD. Eye-catching laptop. Windows 10. Battery life: Up to 5.5 hours. It'll stand up to daily wear and tear with a special protective coating and rubber padding underneath that enhances ventilation and stability on your desktop. Lenovo IdeaPad 320 15.6" Quad Core Laptop Intel Pentium 4GB RAM, 1TB HDD, Win 10. 14" (1366x768). 14": 19.3 mm thick. 14" : 1.7 kg. No scratches, No dead pixels. Fully working. BIOS Checked. Tests and Condition 1xUSB 3.0, 1xUSB 2.0, 1xType-C USB 3.0, HDMI, 4-in-1 card reader, always on charging. Lenovo Yoga 300. 6-Row, Lenovo Keyboard. Combo audio jack × 1. USB 3.0 port × 1. USB 2.0 port × 2. Windows 10. 20 V, 45 W. 2 cells, 30 Wh. Storage 1TB SSHD (Solid State Hybrid Drive). Lenovo Z51. AMD Radeon R7 M360. 1TB Hybrid Drive. AMD Radeon R7 M360 (2GB Dedicated). 100% genuine products. Windows 10. Add Us to Favourites. Lenovo Ideapad 320 15.6" (1TB, Intel Pentium N, 1.1GHz, 4GB) Notebook/Laptop..
Bought as a present but never used. Excellent condition. Like new! Bargain! Storage 1TB SSHD (Solid State Hybrid Drive). Lenovo Z50. Nvidia GeForce 840M. 1TB Hybrid Drive. 100% genuine products. Windows 10. Add Us to Favourites. fully tested to the highest standards. AMD Radeon R7 M360. AMD Radeon R7 M360 (2GB Dedicated). Storage 1TB HDD (Hard Disk Drive). Lenovo 500. Audio built-in JBL Stereo Speakers. 100% genuine products. Windows 10. Add Us to Favourites. Lenovo Yoga 500-14IBD. Touch screen.